This is my first trip since joining the Club Wyndham Asia and my first trip to Bali also. 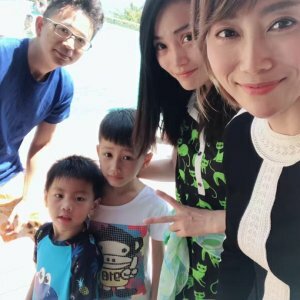 As the first-timer enjoy the club member’s benefit, my husband and I decided to share the great moments with 2 kids, mother and 3 aunties. We choose to experience Bali and stay at Ramada Encore Bali located at Seminyak. 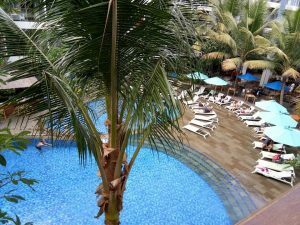 We love Ramada Encore Bali because the staff is very friendly and helpful, the breakfast is yummy and the pool is awesome. Bali has so much to offer and every place is amazingly unique in its own way. 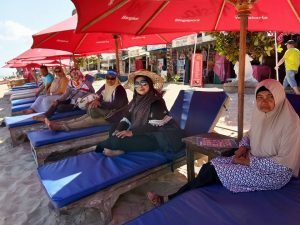 With 5 days stayed, we explore the beach, see dolphins jumping from the sea with sunrise view, enjoy the scenery of paddy field and volcano, experience the cultural show and etc. Thank you Wyndham for the unforgettable experience not only to me but also to all of us. In fact, this is our first time having the holiday together. For my aunties, it were the new life record because it were the first time they are travelling on airplane and first time travelling to a foreign country. Being the member of Wyndham is exactly the right decision I’d made in life. Can’t wait to experience and explore another place with Wyndham. Hawaii spoilt us with amazing vistas and eclectic scenery everywhere we went. 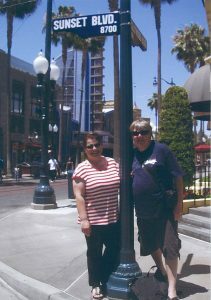 California’s Anaheim greeted us with the quintessential introduction to mainland U.S.A., and has left us wanting much, much more! Disneyland has proved to be “The happiest place on earth”, even for a couple that hasn’t been blessed with children. Everywhere we went, both in Hawaii and California, we were greeted with the most helpful people. We found that nothing was too much trouble – people couldn’t do enough for us. 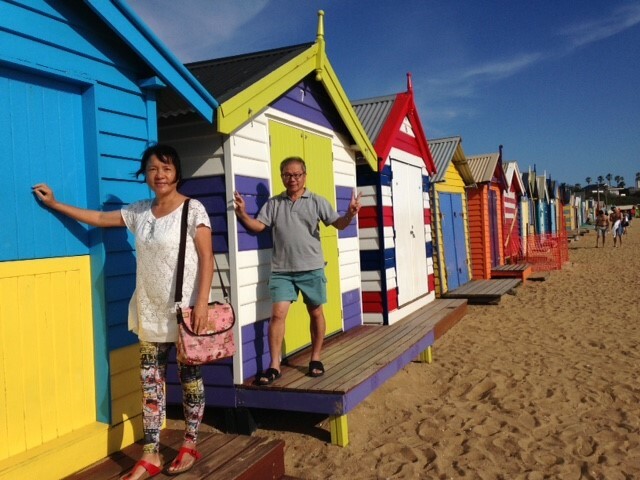 On many occasions, people kindly offered to take our photo. The staff at WorldMark Anaheim, where we stayed, were exemplary and very professional at all times: we got the star treatment at all times. 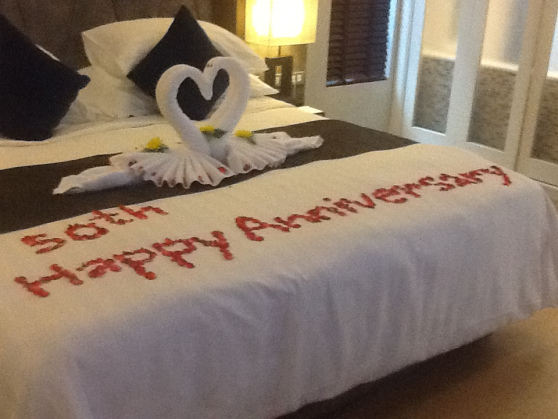 Thank you WorldMark South Pacific Club for the past ten years of quality resorts, excellent facilities, beautiful, well-appointed furnishings and professional staff – and here’s to forty more! We can’t wait to start planning our next American adventure! 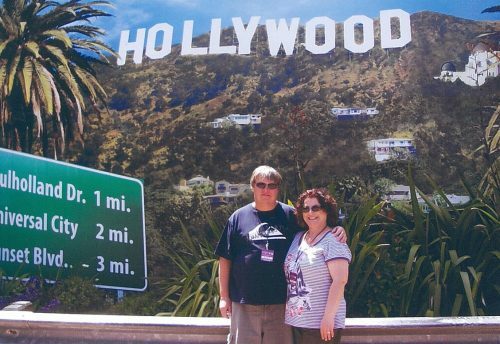 Editors Note: Congratulations to Sally & Scott for their 10 year WorldMark Anniversary! From the team at WorldMark South Pacific, we wish you many more wonderful holidays in the future. Tags: California, disneyland, Hawaii, holiday, travel, USA, vacation ownership, worldmark, Wyndham Resorts. It always amazes me how beautiful it looks, whether from the second floor (this time) or the top floor. Unless you wish to be part of the razzle dazzle of the Gold Coast, Kirra or Surfers Paradise, Golden Beach is the place to visit in Queensland all year round! 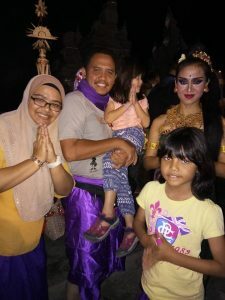 It was the right thing to do when my wife and I took up the offer by Wyndham Sea Pearl Resort Phuket to have a holiday there and listen to what Wyndham Asia has to offer. We said to ourselves, alright we will go but listen only and need not buy the package. This was during our 27th wedding anniversary on 29 Sep 2017. We enjoyed so much and love the Resort and service provided by Wyndham that we decided to take up the membership. We like to travel to places on our own and it comes at the right time too as 13 Dec 2017 was my second son’s graduation. The first thing I did was to book anywhere in Melbourne with Wyndham after getting the membership. The service at contact centre in Singapore was excellent as Ms Naan, the staff in Singapore, gave good recommendation after checking on my itineraries. She managed to book Wyndham at William St and it was very nice staying there, in the heart of the city. 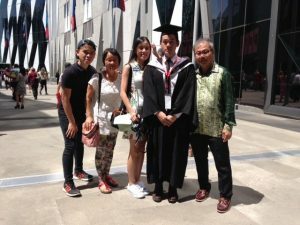 graduation a sweet and unforgettable one with Melbourne offering so much scenic colorful places, wonderful people and food. Can’t wait to go again to another place where Wyndham is. 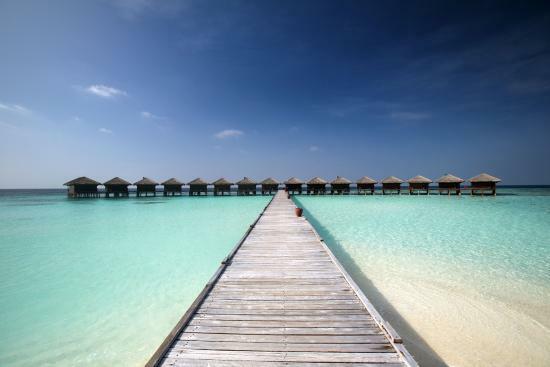 I am more than delighted to give a very positive feedback to our stay at Filitheyo Island Resort. everything was simply perfect. The Resort, the room, the restaurants, the beach, the activities, and THE STAFF. But what won me over was the warm welcome from each and every staff member. The sea plane ride was beautiful and being so far out in the Indian Ocean is part of the amazing out of this world feeling you get at this resort. We never had to worry about carrying our bags. 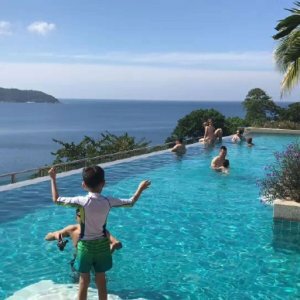 The property is a proper resort with a lot of activities., like Fishing, Darts, Snorkeling, Water sports, Diving, Pool table. Enjoyed their shark feeding and stingray feeding activities! Special events are also organized by them in the evening at the bar. We were staying in a Water Villa and the room was massive and immaculate. Housekeeping was quite efficient. Everything is done to a high standard, it is immediately relaxing…The staff go out of their way to make sure high expectations are met, and overall this is a truly exceptional place simply to chill. I’m dreaming to be back there. One of the best experiences!! As a Club Wyndham Asia® Member you have the opportunity to exchange your Member Points with the RCI Exchange Program for a week at your choice of 4,500 participating Affiliated Resorts in more than 100 countries, as an additional benefit offered by the Club Developer, Wyndham Vacation Resorts Asia Pacific (HK) Limited. Resort, room facilities, and standards may vary. 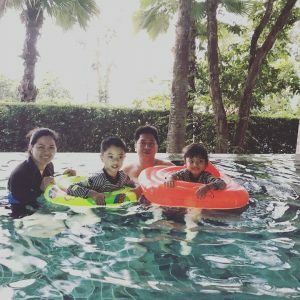 Shuttle bus with typical Wyndham logo, welcoming staff with thoughtful service and beautiful smile, we finally checked in at Wyndham Grand Phuket Kalim Bay, and stayed in a two Bedroom private pool suite. Just as expected, the room is very clean and tidy, makes us feel warm and comfortable, like home. The first thing we saw entering the suite was the crystal clear pool water, the sun was shining, the water was sparkling, shadows of the tree were swinging, and the birds were singing. Everything was so quiet and beautiful. Looking out from the suite, you can enjoy a breathtaking tropical view. The weather was nice: with blue sky and warm sunshine, endless sea view, ocean waves paving on the shore, you can even hear the sound of it. Staying in the resort is just as relaxing. The next place I love about the resort was the infinity pool. 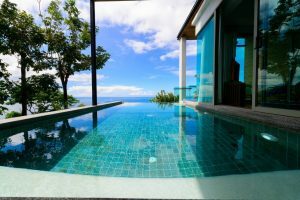 Imagine this scene, you are relaxing on the edge of the pool, the view you are looking at is purely natural where ocean meets the sky. Next to you is your kids having fun, laughing. Wasn’t it just lovely? Mind and soul, spirit and every inch of our body, is wandering under our best vacation mood. On the following days, all we did was lying on the beach, playing with kids, exploring the beach and creatures, watching sunset, chatting with family and friends. It appeared to be my birthday during this vacation. So it comes to me that, this could be the best I have expected for: accompanied by families, friends, amazing views and a peaceful mind. We indeed enjoyed every moment of this trip, then left with nothing but a good memory. Really look forward to staying with Club Wyndham Asia again in the near future! 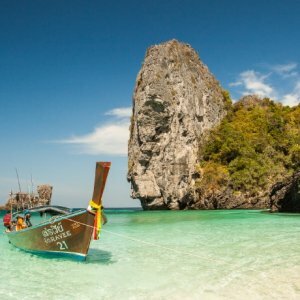 This is our third date with Phuket, but the very first time we get to know the beautiful Kalim Bay. The moment my husband and I look forward to most this year, is to take a couple of days away from busy work and relax ourselves. 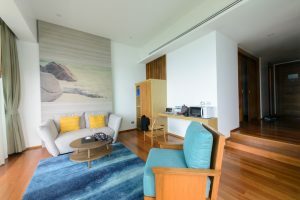 We finally decided to book a two-bedroom suite at Wyndham Grand Phuket Kalim Bay. It turned out not only did we enjoyed our stay here, but also had we an unforgettable trip with our dearest friends. The swimming pool locates just inside the suite, so we can jump into the pool whenever we want. 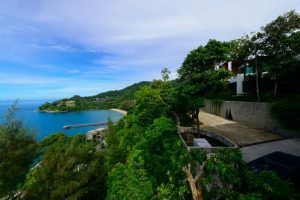 There was a saying from a famous Chinese poem, “the life I am after is living in a house towards the sea, with everything blossoms like a dream”, and here we are in our suite facing the amazing view of Kalim Bay. Isn’t it what we have been dreaming of all along? The decoration of the hotel is so vacation feeling that even the mats in the living room is in ocean blue color. 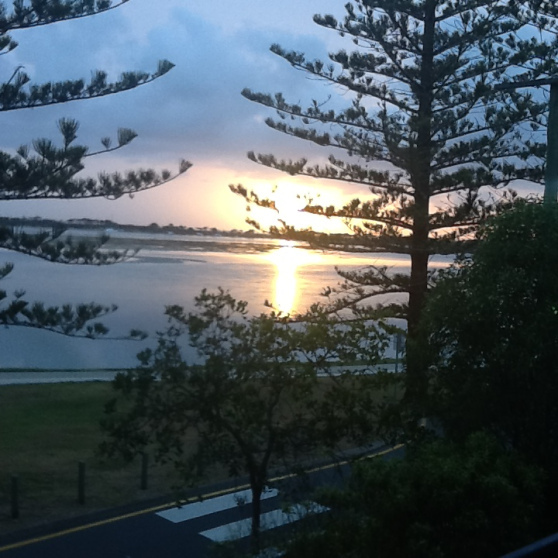 Leaning on the deck chair on the balcony, watching the sunset gradually falls into the sea, I’ve finally realized that this is what we call “life”! After you get enough rest in the suite, you must go out and walk around the beautiful resort. The garden style design of the resort makes you feel it is very large and quiet. If you happen to be hungry then, you can dine at the restaurant on the second floor, where you can enjoy delicacy of great taste and plating. Time waits for no man, you should come and enjoy the beautiful view and sunshine here in Wyndham Grand Phuket Kalim Bay! It was one of our best family trips so far. 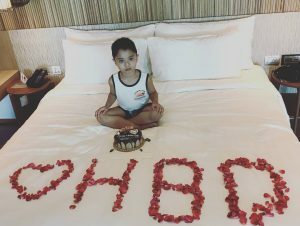 We celebrated my son’s 6th birthday at Wyndham Grand Phuket Kalim Bay. There was an arrangement of birthday surprises for my son with cakes and flowers in the room. It definitely made his day. 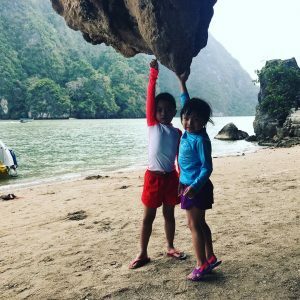 This is the trip which had a lot of firsts for our family; first elephant ride, first island hopping, the first canoeing and first boat ride. We enjoyed our stay in the hotel, first class service, and the room was great with a small swimming pool. There a lot of memorable experiences on this trip. We will definitely return again and visit other places as well. After this trip, my son and daughter would always tell me it was “the best day ever”. Thanks Wyndham for a memorable and fantastic short stay in Shanghai. On arriving by the fast train from Beijing at 8pm, train-lagged and tired we were skeptical to what would our accommodation be like in Shanghai. We have earlier booked the Wyndham Grand Plaza Royale Oriental Shanghai. We were not disappointed, the check in was a breeze, the front desk staff were courteous and helpful, the rooms were gorgeous, the children were very happy with the internet and simply put, we were not only impressed but awed. The facilities were equally impressive with indoor swimming pool, gym as well as well stocked breakfast spread! We were also surprised to find out close to the hotel were the streets where the local actually live, we manage to taste the local fares, browse through shops selling knick-knacks, watch the local gentlemen playing Chinese Chess, meander our way among the playing children. They even have several Muslim restaurants that we also tried. A useful tip: the nearest stop for the hop-on-hop-off from the hotel is the Jin Mao Tower. 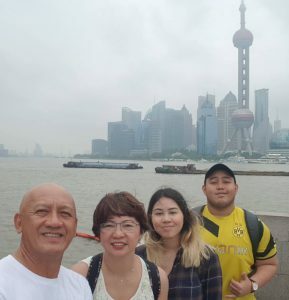 We were in Shanghai for a short family vacation and managed to visit the Bund as well as the Jin Mao Tower among others. 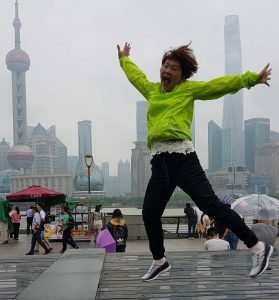 Going round in Shanghai was easy since we opted for the hop-on-hop off bus which takes us to the main shopping as well as the famous landmarks in the city. Besides being able to and drop off whenever we fancy the bus rides was also informative with a running commentary of the sites in the city. After a long day, nothing beats a comfortable room with all its amenities including a TV over the bath tub ! what a way to unwind and rest the sore muscles. We are looking forward for more Wyndham vacations and will be making plans very soon. WANT TO STAY IN SHANGHAI, CHINA?